The 4th hole is a dogleg left that requires a precise tee shot from an elevated tee. 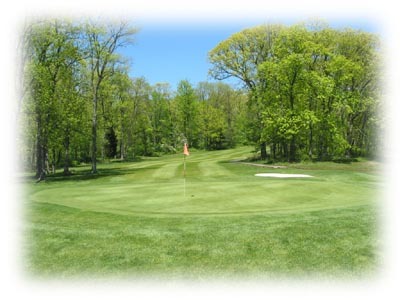 The smart play is a long iron or utility wood to a landing area on the right side of the fairway. If you go too far left, your second shot may be obstructed by the tree line. The large, flat green is guarded by a bunker to the left and a collection area to the right. Aim for the center for a birdie opportunity.